The Woodlands takes golfers on a scenic journey through a world of tall, hardwood trees that guard the lush Bent Grass fairways and large, undulating greens of the course's enjoyable and challenging 18 holes. Designed by renowned golf course architect Lindsay Ervin, The Woodlands opened in 1998 to critical acclaim. Ervin himself said The Woodlands "truly ranks as my best design" and Washington Golf Monthly called it "the best public course in the Baltimore suburbs." Golf Digest has rated The Woodlands a "Four Star Places to Play Award Winner." A brand new, state-of-the-art clubhouse has only added to the reputation of The Woodlands and the adjacent Diamond Ridge Golf Course. The conveniently located facility offers golfers a full-service golf experience at a reasonable price. 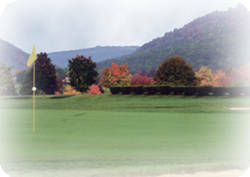 The Woodlands is also an ideal setting for your next corporate or charity golf outing.